Aarburg Castle is a castle in the municipality of Aarburg in the canton of Aargau in Switzerland. 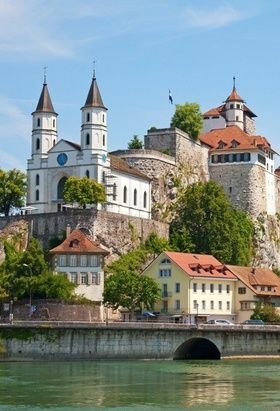 It is located high above the Aarburg on a steep, rocky hillside. The castle was built around a medieval castle, which controlled the narrow point on the Aare river and served as the seat of Aarburg Vogt. It is classified as a Swiss heritage site of national significance.Today it houses the Kantonale Jugendheim, for holding and rehabilitating juvenile offenders.